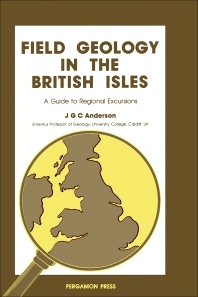 The first book to cover geological excursions for the whole of the British Isles. Information on the best means of studying geology in the field in the British Isles is followed by descriptions of 194 geological itineraries based on a number of centres and a final chapter on the geology evident on 31 journeys by road, rail and coastal boat. Sketch maps indicate the routes of all the excursions with maps showing the geology of each region. These are detailed for those areas for which modern geological maps are not available. For teachers and students of geology and geography at school and university, amateur geologists and foreign geologists visiting Britain. (partial) Introduction. Sources of information. Ways and means. Precambrian terrains. Caledonian terrains with Caledonian metamorphism. Caledonian terrains without Caledonian metamorphism. Hercynian terrains. Alpine terrains (Mesozoic and Tertiary districts). Excursions to Tertiary volcanoes. Geology of some transport routes. Appendices: Stratigraphical grouping of excursions. Centres in alphabetical order with references to excursions from each centre. Routes in alphabetical order, with references to geological descriptions. Index.